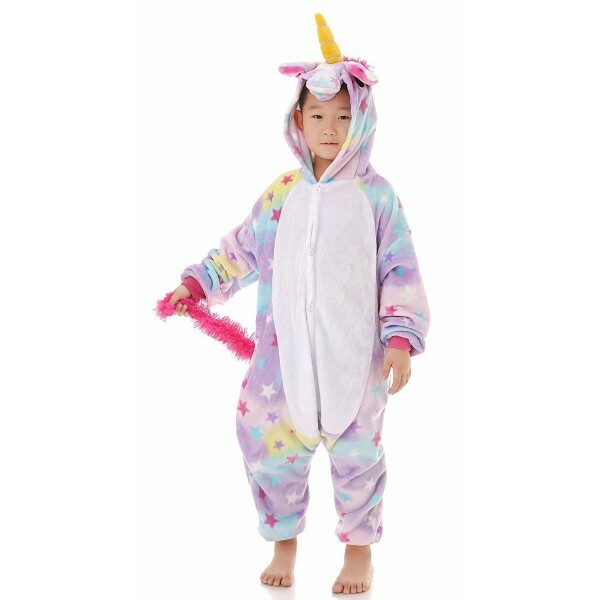 This unicorn kigurumi is so magical, you'll be seeing stars! 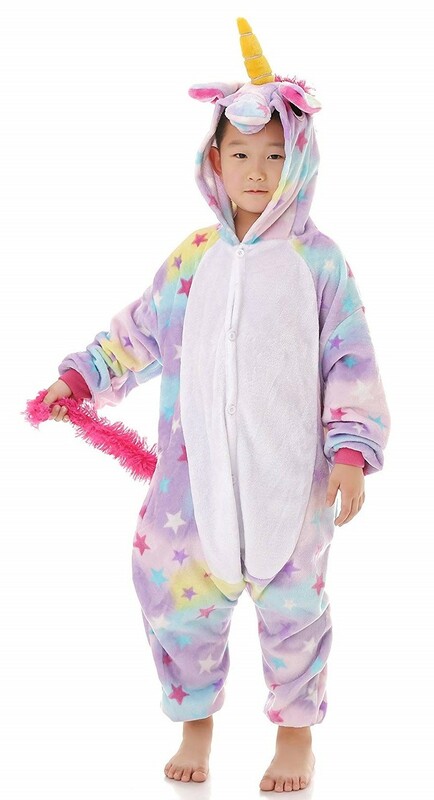 This cozy kigurumi one-piece costume from JT-Amigo is made of soft flannel, so it's just warm enough for a cool night trick or treating. The button up closure makes it easy to get on and off when she just has to play pretend! Plus, there's even a pocket to store some secret surprises.